Have you always wanted to run but just never knew how to start or thought it was too difficult? Don’t let that stop you from lacing up your running shoes to hit the treadmill or the pavement. Running is known as one of the best cardiovascular exercises to burn calories, lose and maintain weight, and improve overall health, and the benefits outweigh the physical challenges that beginners may face when starting a running routine. Chicagoland native Shameka Jones’ dream of being in shape and able to run started at a young age. 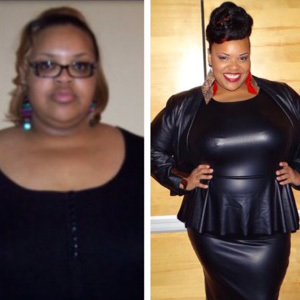 She continued to hold on to that dream as she got older, but didn’t think it was possible because of her obesity. But she hung on to her dream. Know that you can do it. If you continue to say “I’ll never be able to run” or “I can’t run,” then you won’t. Don’t focus on speed. Instead, focus on your progress. You can start off slow by running for 30 seconds, followed by two minutes of walking. Runner’s World suggests that newbie runners invest in the right pair of shoes, join a running group and set small, achievable goals. Jones thinks that women can be intimidated by running because they compare themselves to others. To avoid internal negative dialogue, Jones advises women to stop doubting their own potential based on someone else’s fitness level. Determined to learn how to run, Jones sought help from personal trainer Rick Applewhite, who put together a progressive exercise regimen that took her from the elliptical machine to the treadmill. She started on the treadmill, walking at first, and then advanced to interval training, where she alternated between walking and running. Jones enjoys the feeling she gets after running and says the endorphins that are released give her an awesome sense of clarity and strength. By incorporating running into her fitness regimen, Jones has noticed that her endurance has increased tremendously. 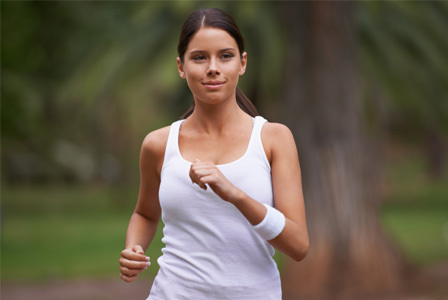 Running has also helped her manage her stress levels and lose weight over time. Jones encourages women who want to run but have never tried it to set their goals and put a plan in place to accomplish them.